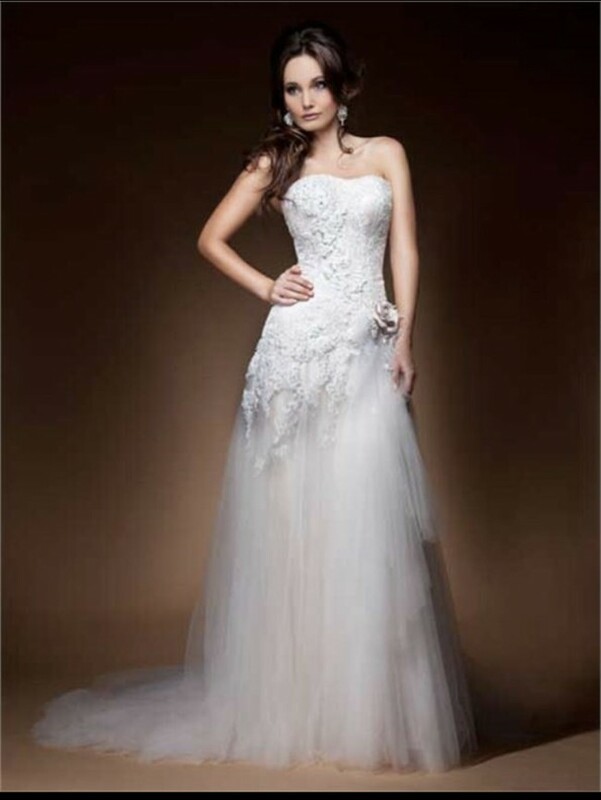 Beautiful & elegant beaded bodice featuring elegant lace and crystal detailing,with a soft tulle fuller skirt, flowing into a train. detachable rose not included. Lace up back, this dress has had no alterations at all. Also selling with the beautiful floor length veil, stunning crystals and pearls with tiny crystals throughout entire veil to catch the light! Once you send a message, Tammy can invite you to purchase the dress.